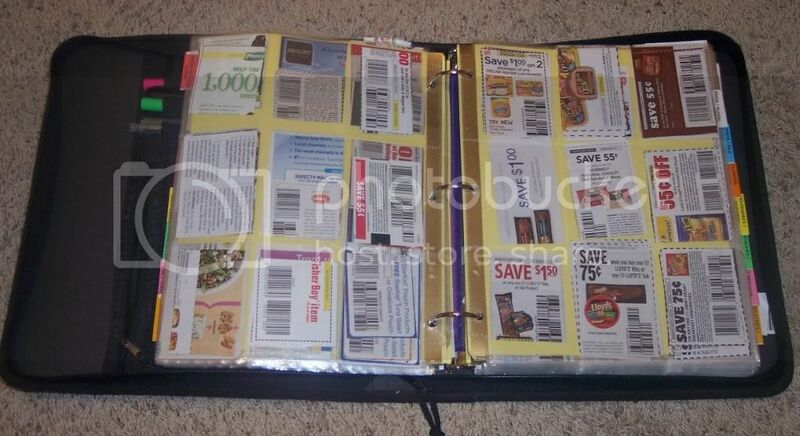 Using a binder with baseball card holders makes couponing a dream when it comes to locating a specific coupon, for knowing when a coupon is about to expire or for removing expired coupons. 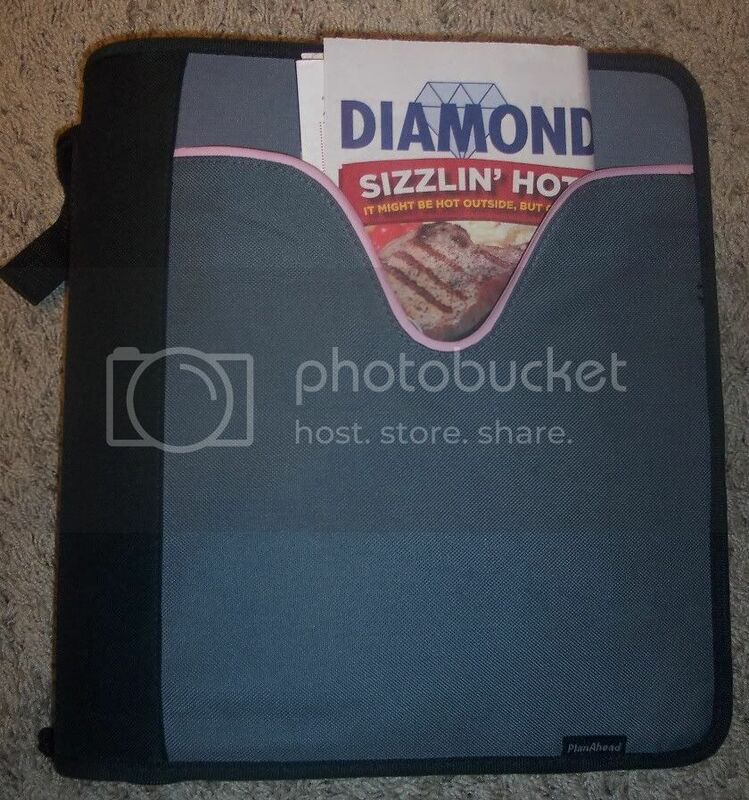 The front features a large deep pocket that is perfect for holding folded sale ads - especially useful when "price matching" at Walmart or Target and sale ads are a must-have. I place my Walgreens Register Rewards, CVS Extra Care Bucks and Catalina coupons in the very front, where they'll not be so easily overlooked and forgotten. If I am "price matching" at Walmart or Target, I take a sheet of notebook paper, in the far left column I write the store name, then item, size or quantity specified, sale price, then the far right column is my coupon dollar amount and how many coupons I have to use. 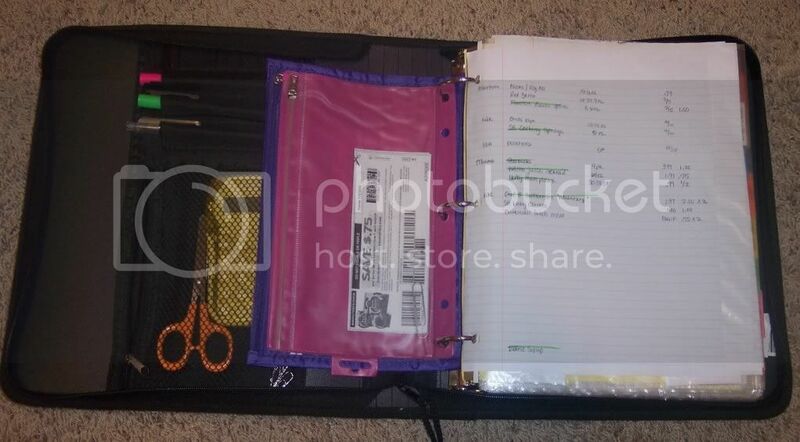 I then place the coupons in the small (pink) pencil holder. As I am shopping and have placed the item in my cart, I take the coupon for the item and put in the larger pencil holder. By doing these things it greatly reduces the time spent in the checkout line. I have found that if cashiers see you are organized, they will be less likely to haggle you over a "price match". 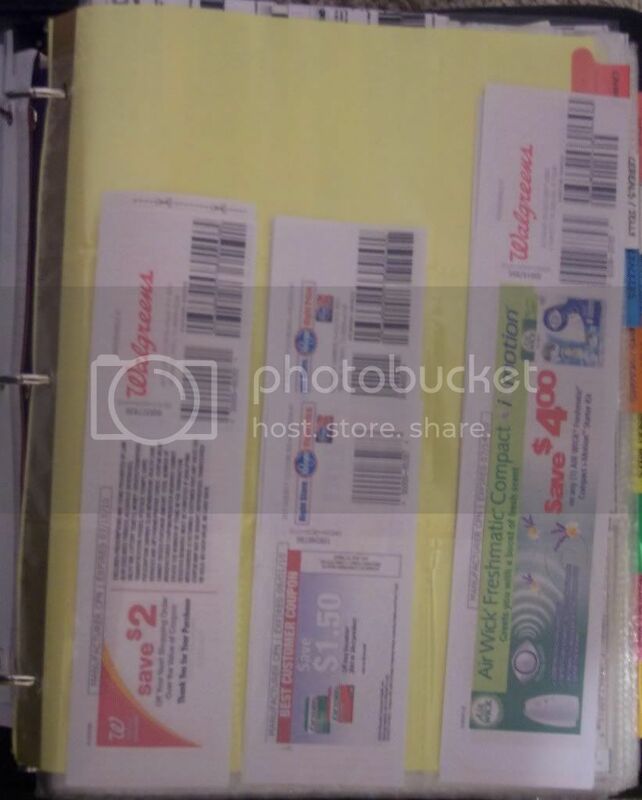 In the back of the binder, plastic sheet protectors hold each stores coupon policy. There have been a couple of instances where I had to flip to the back of the book for the cashier to read their own stores coupon policy.